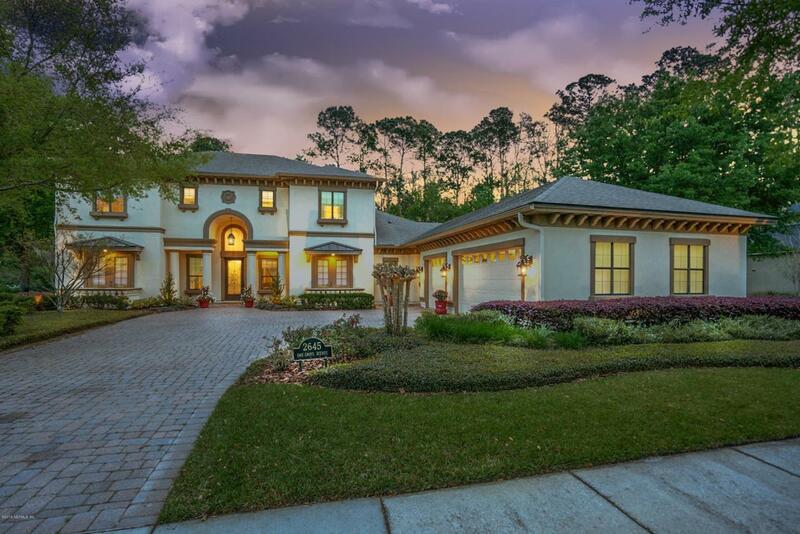 Exceptional, custom pool home located in the award-winning King & Bear golf course community. 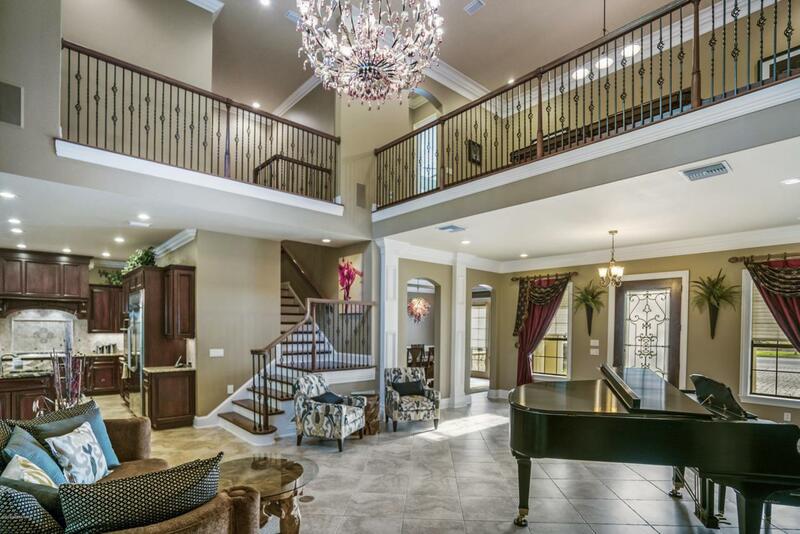 This home has a Great Room that has 23-foot ceilings that show off the amazing limestone gas fireplace. There are porcelain tiles throughout the main areas of this open floor plan. Your dream kitchen is equipped with luxury stainless steel GE Monogram appliances, 42'' solid wood cabinets with corbel details and a huge double walk-in pantry. The butler's pantry has glassed cabinets, beverage cooler and task lighting.The bright and spacious first level master suite includes a lounge/sitting area. Suite has huge custom closet, blackout motorized blinds and a spa-inspired master bath with double vanities.Master suite also offers Travertine flooring, granite counter-tops and furniture-quality cabinetry. The second floor delivers two en-suite bedrooms as well as an additional master suite. One bedroom includes a hidden loft for very special sleepovers. A smartly designed game room sports wood floors and custom railings. Relax or have plenty of room to entertain around the custom designed pool area that has a summer kitchen with separate granite-topped counter-style eating area. The pool has a multi colored relay lighting system and water falls that cascade into the pool from the sides of the spa tub with fire troughs. 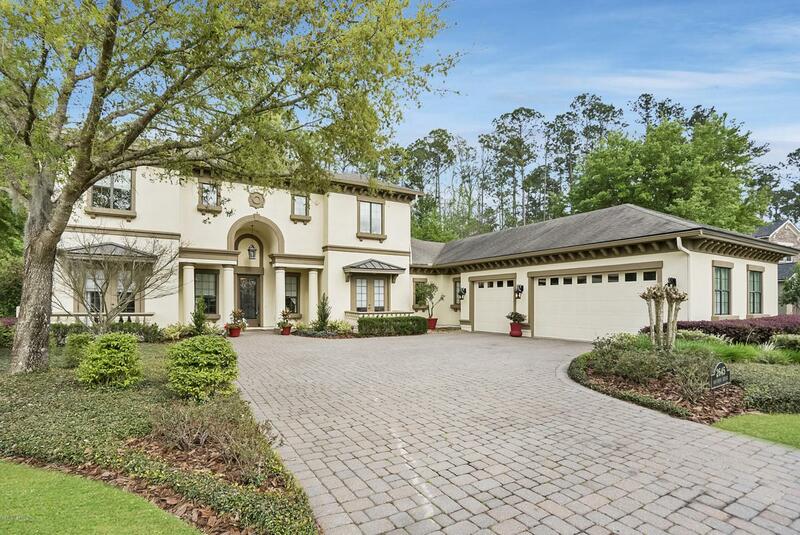 Privacy is assured as this premium lot backs up to a preserve. For the Golf lovers out there the World Golf Village is centrally located with an award-winning golf course repeatedly listed in the top 25 in the country. The King and Bear is the only course in the world designed in collaboration by two golf greats Arnold Palmer and Jack Nicholas. The course offers a mixture of two different design styles that come together to form one masterpiece. The neighborhood has miles of walking trails, tennis courts, state of the art gym and inviting common areas. 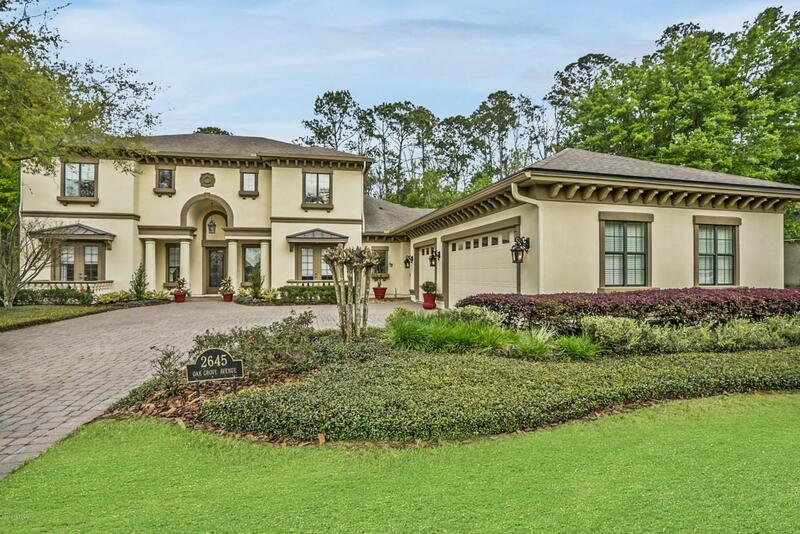 Throughout the community you will find pristine lakes, lush greenscapes, grand oak trees and thickets of loblolly pine. Last but not least it is just a short drive to Jacksonville, world class beaches and the St. Johns Town Center.